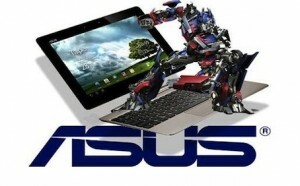 Dispense with all the ‘Toy Tablets” and make room for the most anticipated tab device to date; the Asus Transformer Prime is to Autobots as the iPad II is to Decepticons. It is THE THINNEST tablet, and outperforms the “ApplePad” in multitasking and overall performance almost twice over with 1GB RAM and it’s NVIDIA Quad Core Processor, which has never been seen before in a tablet. Equipped with Google’s brand new Ice Cream Sandwich operating system, the Prime has a scratch resistant Gorilla Glass Super IPS screen, 1080p micro HDMI output, SD cardslot, and features front and back cameras with 1.2 and 8.0 megapixels respectively. The kicker however, is the optional keyboard ‘dock’ that transforms it into an ultrabook, making it more business-like and at the same time almost doubling your battery power to 18 hours. Order yours on Amazon.com today. At a $500 price point, It is definitely more than meets the eye.